SHETLAND ARTS has appointed two established staff members and weel-kent faces to new senior posts as part of its ongoing restructuring process. Former music development officer Bryan Peterson has been given a new role as head of creative opportunities, while musician and sound technician Jonathan Ritch has been appointed as head of production. Shetland Arts said both were well established figures within Shetland’s creative community. They have also been firm friends since meeting at the Anderson High School, where both began performing in bands and promoting gigs together. “It’s great that after starting out together and going on to do different things we’re back working together and able to contribute to the community that first inspired us,” Peterson said. Born and bred in Lerwick, Peterson began playing in local bands when he was 12, going on to be a founding member of innovative folk/funk band Bongshang when he was 15. The band released Crude, Shetland’s first ever CD, a year later. After working in engineering and construction, he left Shetland in his early 20s to study on the mainland. He has since achieved qualifications in music, business and information technology, and has had a varied career including freelance work as a musician, web developer, record shop manager, writer and broadcaster. 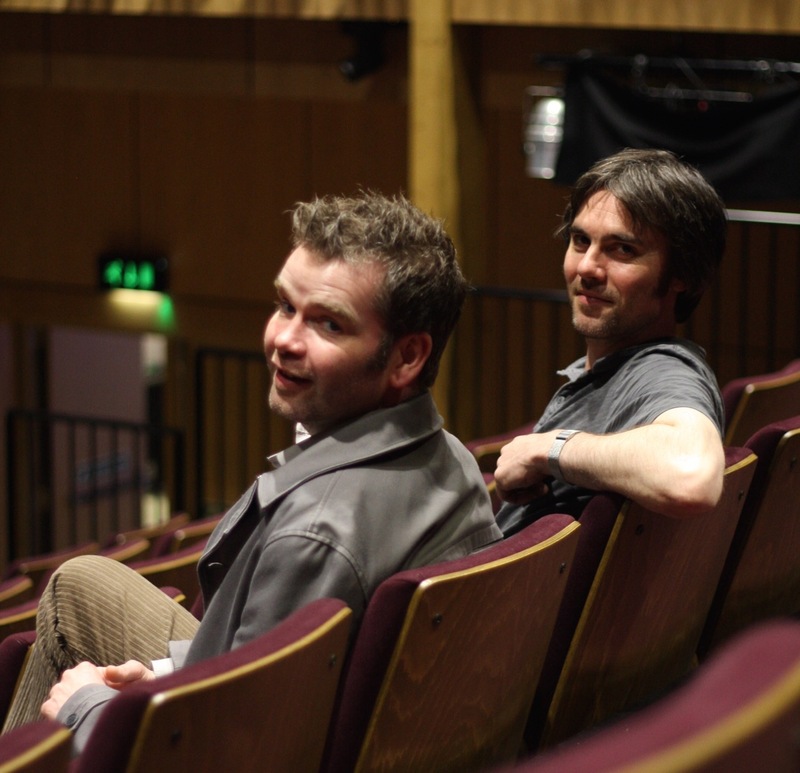 Peterson first joined Shetland Arts in 2007 as the organisation embarked on the project to build the cinema and music venue Mareel. 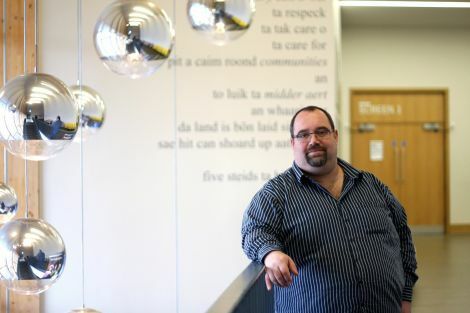 He has led the development of Mareel’s creative industries education programme and is course leader for the music and video courses delivered at the venue in partnership with Shetland College. Originally from Unst, Ritch has enjoyed a varied musical career to date, notably as bassist in Shetland bands, including Fiddlers’ Bid and Shoormal. In 1998 he graduated from the school of audio engineering in Glasgow and has since recorded and produced a substantial catalogue of work for a broad range of artists. He has been involved in countless community arts projects and theatre productions both as a technician and musician, and has written and recorded soundtracks for film and TV. Ritch spent 13 years working as a freelance sound engineer, touring musician, painter and guitar tutor before joining Shetland Arts in 2011. He was closely involved in the technical fitting out of Mareel and is a familiar face behind the mixing desk. During his time with the organisation, Ritch has fulfilled the role of senior technician and helped to build a strong reputation for himself and Shetland Arts’ technical team. The new appointment places Ritch “at the forefront of technical delivery across all Shetland Arts venues”. Shetland Arts general manager Graeme Howell, who kicked off the restructuring process after taking up the reins shortly before Christmas, said: “I am delighted to be able to confirm Bryan and Jonathan’s appointment, and am very much looking forward to working with them in their new capacities.